Trying to decide where to keep all your beauty products is a nice problem to have, but it's a problem all us beauty addicts share. Unless you have a #shelfie-worthy bathroom cabinet (in which case I'm jealous), chances are your skincare staples and makeup products are probably like mine: scattered everywhere, littered around in dodgy old makeup bags and cluttering up cupboard space all around your house. I'm someone who hates clutter, but living in a two-bed flat in London has come to live with it. My bathroom is tiny and categorically does not house (believe me, I've tried) a bathroom cabinet worthy of my skincare staples, let alone anything else. But thankfully all that has changed. 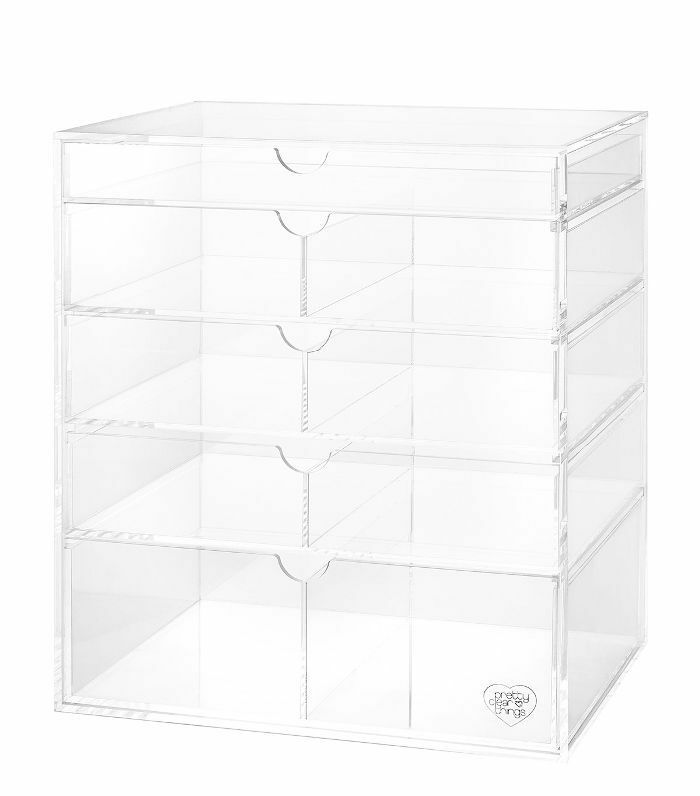 Let me introduce you to the Pretty Clear Things Cosmetic Tower. Because trust me—it's about to revolutionize your life. I discovered this wondrous product one day whilst scrolling through the new-in section of Cult Beauty (a daily habit), and it's even better than I'd imagined. 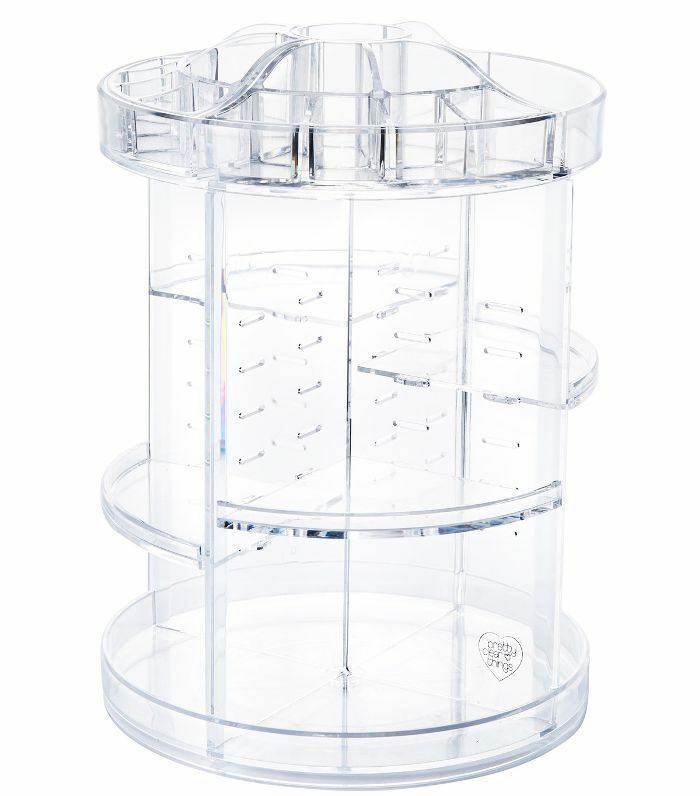 The Cosmetic Tower (£75) comes ready for you to assemble at home. Don't worry, though—it's so much easier to assemble than an IKEA item. You just slot the pieces together, secure them in place with some rubber bands and voilà—three minutes later, you're done. You might be thinking, Okay, but what makes it so great? 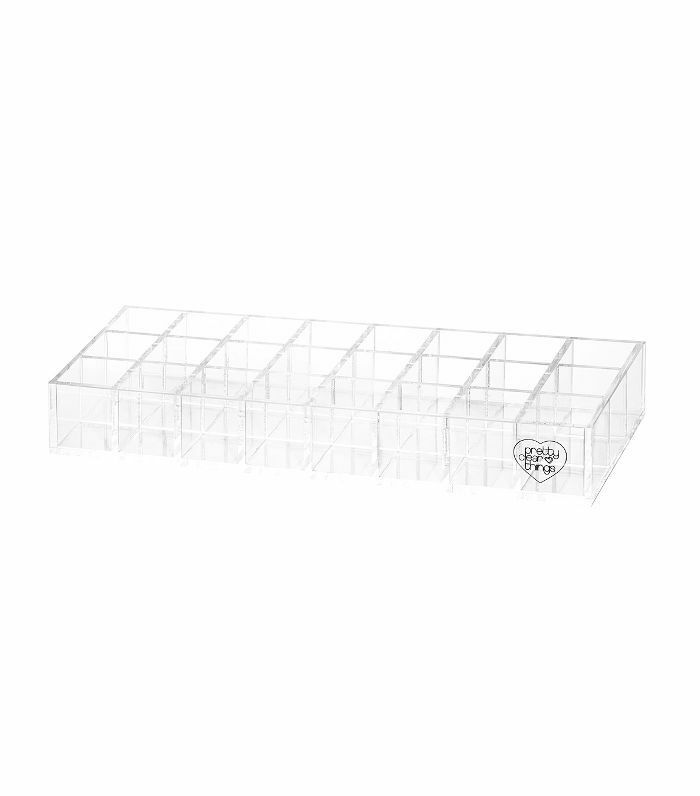 Well, for one, you can change the height of the shelves, which is super handy for taller products like mists and micellar waters. Secondly, this spins around on axes for easy access. Thirdly, it fits in so many products. There are smaller sections that slot into the top section perfect for ampoules, eye creams and lip balms. The larger sections beneath fit serums, moisturisers and mists.